The Cenex Low Carbon Vehicle (LCV) 2015 event took place at Millbrook Proving Ground on 9 & 10 September 2015 and is the UK’s leading low carbon vehicle event for the automotive industry, including a conference and seminars, an exhibition, and a vehicle showcase. With over 2,850 attendees, Cenex LCV2015 (now in its eighth year) had a 19% increase in visitor and exhibitor attendance compared with LCV2014. 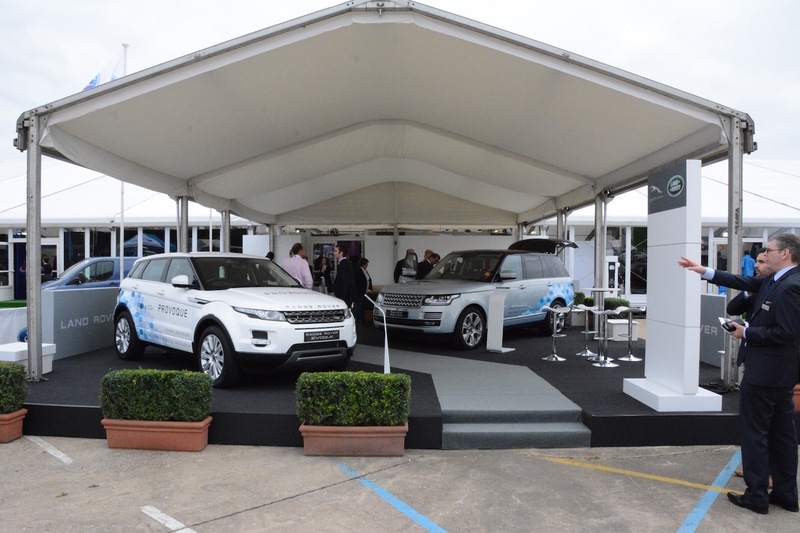 The event featured over 200 exhibitors and 103 vehicles on display, 60 of which were available for Ride & Drive. 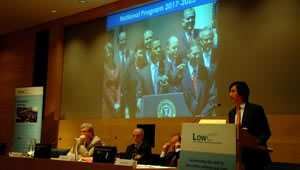 More than 120 presentations were made, spread across 3 halls and 2 presentation zones. In addition, more than 380 people attended the LCV2015 networking dinner, at the MK Dons Stadium. As can be guessed from the above, there was a LOT to take in, so here’s our easy to digest Top 20 Highlights of LCV2015. Jaguar Land Rover revealed some of the new and innovative low and zero emission powertrain technologies that it is researching at this year’s Cenex Low Carbon Vehicle event. 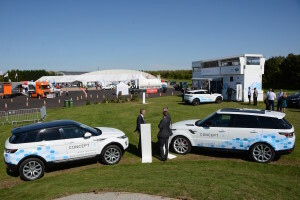 Three Concept_e research demonstrators showcased this far-reaching future research, which included a new unique high performance, modular electric drive module (eDM) developed in-house by Jaguar Land Rover. This electric drive module is capable of producing twice the power and torque of any electric motor-generator in production today. It can be inserted between any engine and transmission to create a MHEV or a PHEV, or used alone for a BEV. 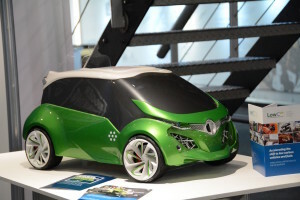 The Concept_e technologies are the output of an advanced powertrain research programme for state-of-the-art, next-generation hybrid and battery-electric powertrain technologies which began in 2013. 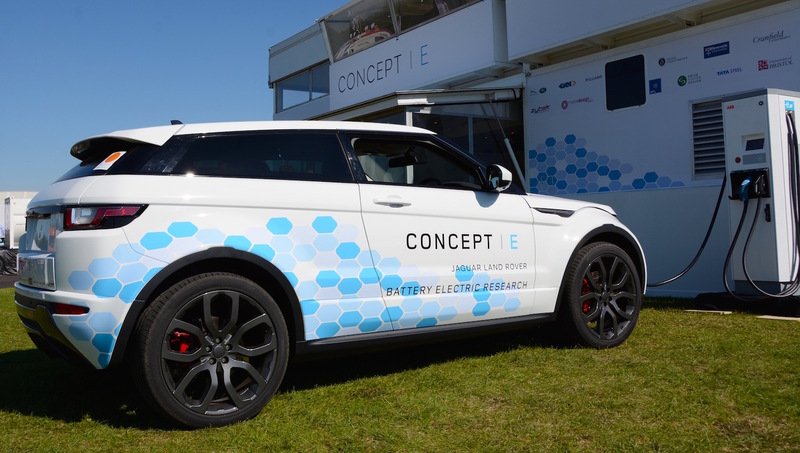 Led by Jaguar Land Rover, this two-year £16.3m research project is part-funded by the UK’s innovation agency, Innovate UK, and involves 12 UK technology partners. 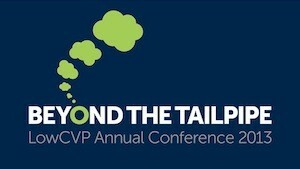 It has brought together leading engineers and technologists from academia, the supply chain and industry to create a number of unique and innovative solutions. The Concept_e BEV is a bespoke research demonstrator based on Jaguar Land Rover’s aluminium vehicle architecture. The underbody has been modified to mount the 70 kWh HV lithium ion traction battery and electric axle drive (EAD) units. The front drive unit features a single-speed transmission coupled with an 85 kW electric motor. The rear drive unit features a twin-speed transmission coupled with a 145 kW electric motor. Concept_e PHEV: The Plug-In Hybrid employs a similar architecture to the MHEV but with a prototype petrol engine (300 PS) and 8-speed transmission longitudinally mounted within a Range Rover Sport donor vehicle. The electric motor is capable of up to 150 kW and also takes up the function of the starter motor. The motor draws electrical energy from a 320-volt lithium ion battery packaged in the boot. The hybrid powerplant drives through the conventional automatic gearbox normally fitted to the Range Rover Sport and the full time four-wheel drive system is retained. 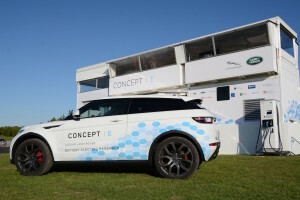 Concept_e MHEV: The Mild Hybrid is based on a Range Rover Evoque donor vehicle and features a prototype diesel engine (90 PS) and a 48V electrical system. It incorporates a 15 kW crank integrated motor with disconnect clutch within a hybrid module sandwiched between the engine and 9-speed transmission. The motor-generator is powered by an advanced 48-volt electrical system and 48-volt lithium ion battery pack. The powertrain for the Concept_e BEV was unveiled on the Innovate UK stand by Dr Ruth McKernan, Chief Executive of Innovate UK (left), the Rt Hon Anna Soubry MP, Minister for Small Business and Enterprise (centre) and Dr Wolfgang Epple, Director of Research and Technology, Jaguar Land Rover (right). 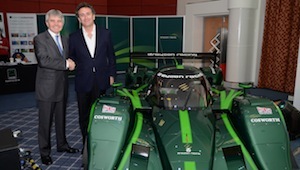 This partnership approach adopted by government and the UK car industry has resulted in many successes since the formation of the Automotive Council, such as the Advanced Propulsion Centre. 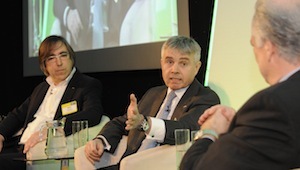 A common concern amongst attendees that we spoke to at the LCV event was whether government support for such low carbon innovation in the automotive industry – as well as support for other organisations that help to improve the competitiveness of businesses in the automotive sector – would continue after the forthcoming Spending Review. The consensus was that it would be madness to cease support for initiatives that help the UK economy and also help to lower emissions in order to meet the UK’s legally binding carbon reduction targets. 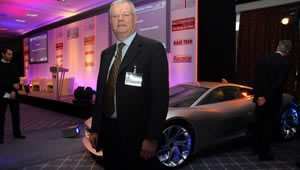 Anna Soubry also announced a £20m ‘Seeding Tomorrow’s Vehicle Technologies Today’ competition. The Innovate UK competition will support the development of new technology for road vehicles aimed at delivering significant reductions in CO2 and other emissions. 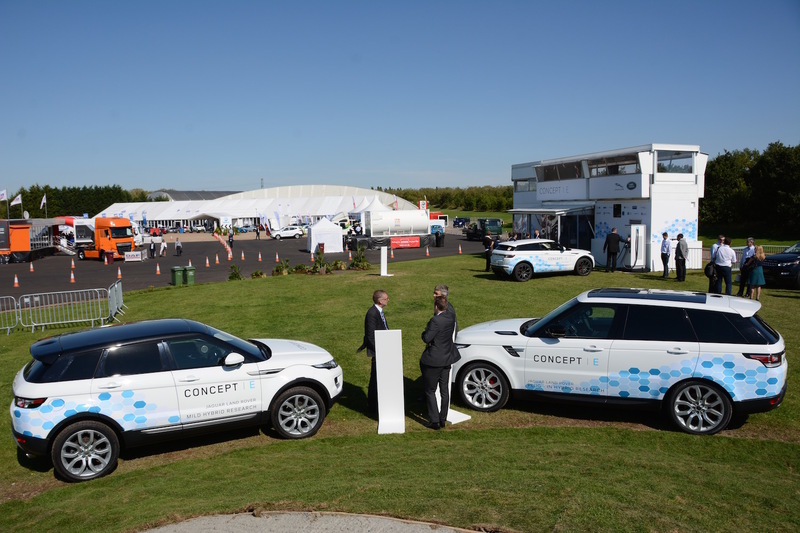 One of the highlights of the LCV2015 event was driving the E4 Coupe produced by Delta Motorsport, a small engineering consultancy that is part of the Innovate UK project developing Jaguar Land Rover Concept_e technologies. The E4 Coupe appeared initially as a rear-wheel drive, all-electric sports car concept, which we drove in 2011, but now the latest incarnation has four-wheel drive. But that’s not all. 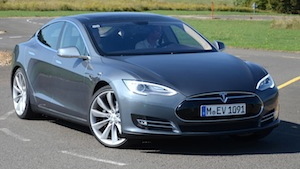 When you drive the car, you can change it from being four-wheel drive to front-wheel drive to rear-wheel drive to left-wheel drive to right-wheel drive – all at the touch of a button, thanks to the electric drivetrain and some clever engineering. For anyone that is intrigued by the handling variations that result from having different wheels driven of a car, this is a revelation. The Delta E4 Coupe also has wonderfully direct steering, as well as being a hatchback with four seats and a boot, so it’s practical; we want one! 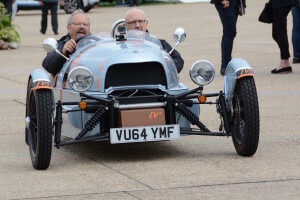 Whereas most of the cars at LCV were from the future, the Morgan three-wheeler was certainly based on a car from the very distant past, however it did have a twist – it had an electric powertrain. 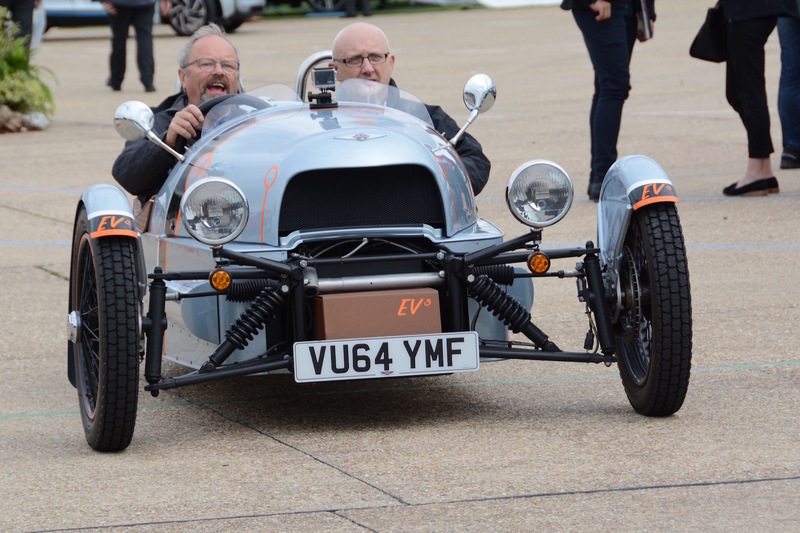 We took the Morgan EV3 on Millbrook’s hill route and despite its bizarre-looking appearance, and one-wheel drive, it was great fun. The Morgan EV3 concept is the second full electric vehicle produced by the Morgan Motor Company. 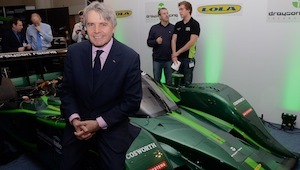 Following the Plus E, the EV3 is based on the standard Morgan 3 Wheeler that was reintroduced in 2011. This prototype version is currently undertaking a full testing and development programme and is expected to go into production towards the end of 2016. A single rear electric motor provides 45kw of power and the overall weight is less than its combustion-based counterpart at 450kg. Range is expected to be approximately 150 miles. 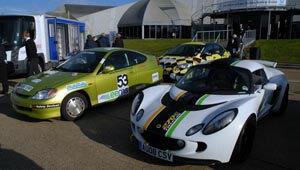 The Delta Motorsport E4 Coupe and the Morgan EV3 have been developed with support from the Niche Vehicle Network (NVN). As highlighted above, over recent years the government and the car industry have been working together extremely effectively to support research and development for low emission vehicles. However much funding was going to the large vehicle manufacturers, and smaller manufacturers weren’t able to get involved in funding projects requiring investments of many millions of pounds. 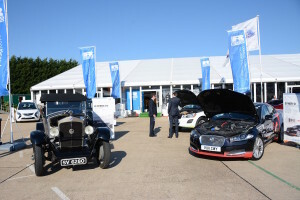 Therefore the Niche Vehicle Network was formed to support the UK’s smaller vehicle manufacturers, and the results included some of the most interesting drivers’ cars at the LCV event. 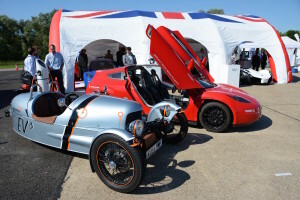 Even the BAC Mono was on display, with lightweight carbon ceramic brakes resulting from an NVN project, as well as an Ariel Atom which featured an experimental iPad instrument cluster. New funding to six engineering and development projects through the Niche Vehicle Network’s R&D Programme was announced at LCV2015. 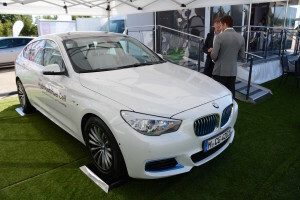 The Cenex LCV2015 event featured a conference, seminars, three exhibition halls, and various showcase/ride and drive vehicles, but the biggest queues of the entire event were to be found at the BMW stand, due to large numbers of people wanting to drive BMW i vehicles. 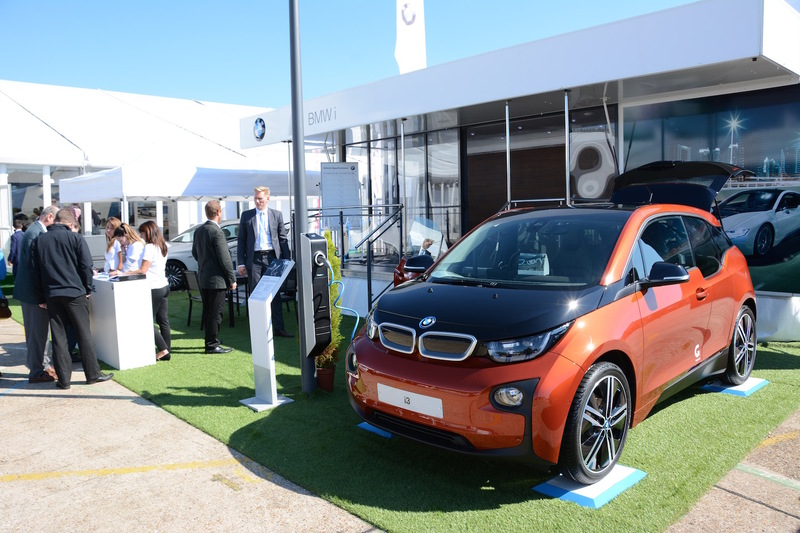 The BMW i3 has been a revolution in the field of electric motoring; it has transformed the image of electric cars, helping them become desirable and aspirational. With rear-wheel drive, and a pure electric powertrain or a practical range-extender option, it’s the electric small family car that sets the standard as a driver’s car. Read the Green Car Guide BMW i3 review. As excellent as the BMW i3 is, the BMW i8 is the ultimate green driver’s car. Featuring a 1.5-litre petrol engine combined with a plug-in electric powertrain, it can compete with some of the world’s best supercars in the driving department, yet it can produce zero tailpipe emissions, or it can return very respectable economy figures when driving it as a hybrid. To encourage people to make the shift to ultra-low carbon vehicles, the BMW i8 is the best form of advertising. 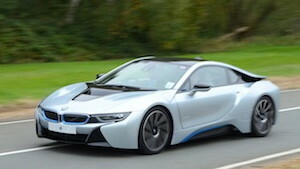 Read the Green Car Guide BMW i8 review. BMW may currently be doing very well in the sales charts with conventional petrol and diesel-engined cars, as well as making a significant impact on the market with the electric i3 and i8, but the company is also working on vehicles with hydrogen fuel cells. 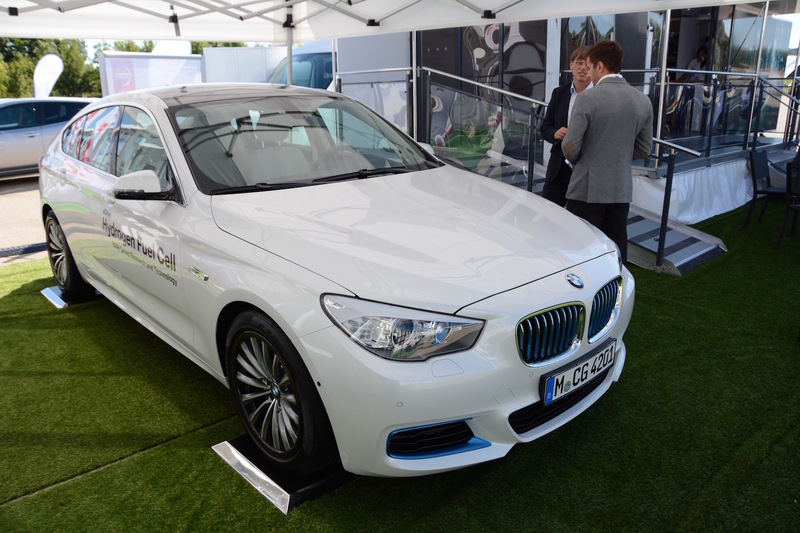 One surprise at LCV2015 was a BMW 5 Series Gran Turismo which featured hydrogen fuel cell technology. BMW says that its hydrogen fuel cell drive system – offering a long range, short refuelling times, and zero emissions – points the way to the future of BMW eDrive technology. A collaboration with Toyota, launched in 2013, has further accelerated progress towards its goal of finalising approved components for a Fuel Cell Electric Vehicle (FCEV) by 2020. Whereas BMW is still very much in the R&D phase of hydrogen fuel cells, Toyota has brought a hydrogen car to market: the Mirai. The Mirai is already in production, although buyers are being carefully vetted. 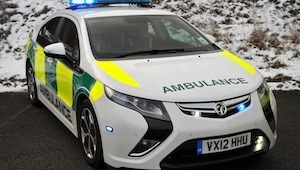 The fuel cell converts hydrogen into electric energy and water vapour, and uses a pressurised 700 bar hydrogen storage tank which can be refuelled in around 3-5 minutes and can manage up to 350 miles on a full tank, thanks to a combination of the efficient fuel cell stack and hybrid battery system. 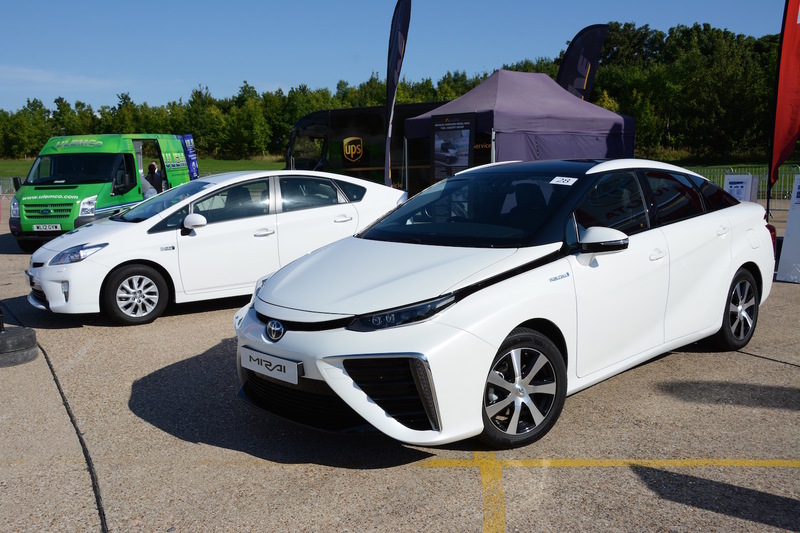 To buy a Mirai you need to live near one of the refuelling stations, and the UK has been allocated just 10 cars for the year. The Hyundai ix35 Fuel Cell is also in production, and uses a similar approach to the Toyota Mirai, which itself shares technology with the BMW 5 Series Gran Turismo Hydrogen fuel cell. For anyone that has driven an electric car, the driving experience of a hydrogen fuel cell car – in this case the Hyundai ix35 – is very similar. 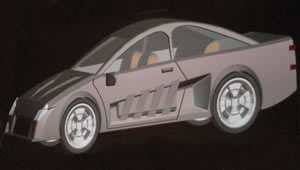 This is perhaps not a surprise as a hydrogen fuel cell car is essentially an electric car, the main difference being that it generates its own electricity on board from hydrogen, meaning that a huge battery isn’t required, but a hydrogen refuelling facility is needed – which is where the chicken and egg scenario begins. 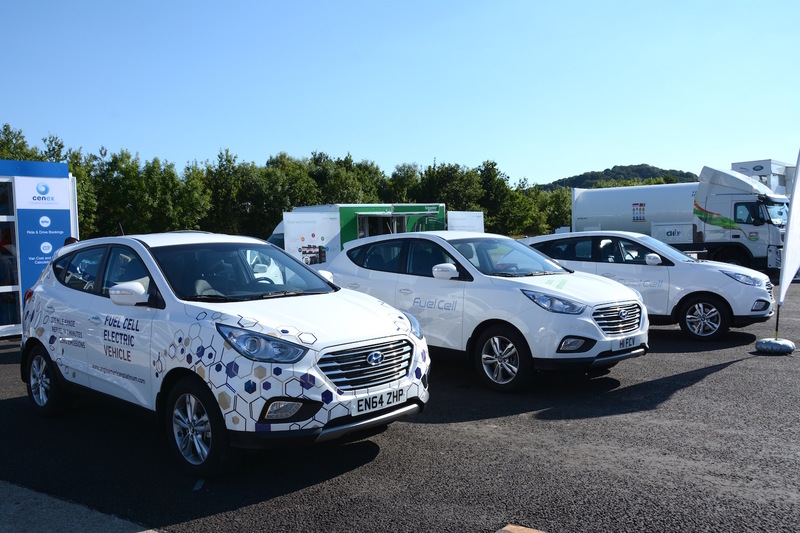 There are currently two public hydrogen refuelling stations in the UK, both in London, although more are due to appear soon. There’s also the issue of the vehicle cost: Hyundai is asking £53,000 for the ix35 Fuel Cell (that’s after a £15,000 government grant) whilst the Toyota Mirai costs around £60,000. 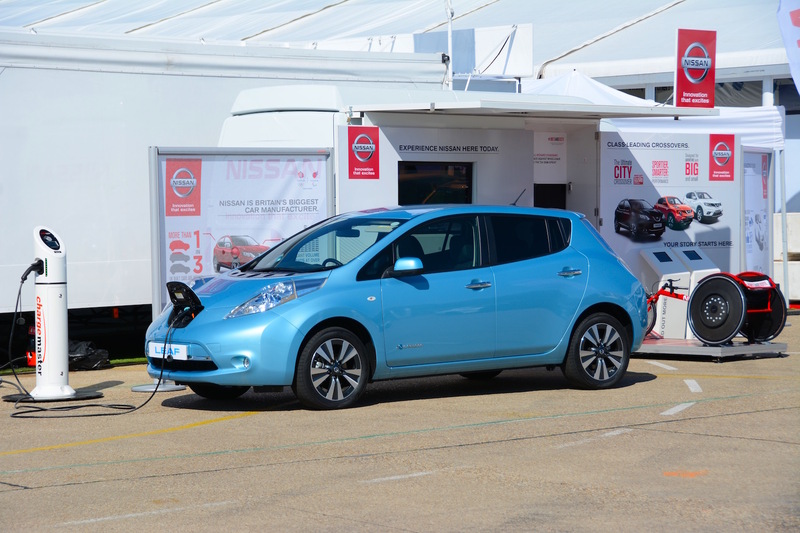 The Nissan LEAF may no longer be the shiny new low emission kid on the block, but it still retains the title of the first successful mass-produced electric family car. 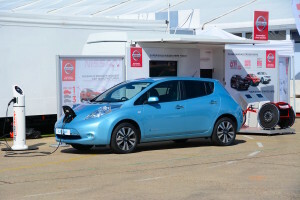 If you can live with the real-world driving range of around 100 miles between charges (Nissan has recently announced that the LEAF is now available with a 30kWh battery, increasing the range to 155 miles), then the LEAF is a practical, refined small family car with zero-tailpipe emissions – something that is at last being seen as a key solution to the issue of poor air quality in our towns and cities. 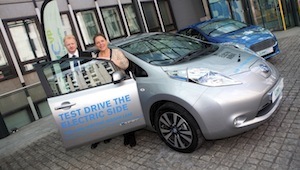 Read the Green Car Guide Nissan LEAF review. The Nissan LEAF may have been a key player in helping to start the electric car revolution in the UK, but Mitsubishi has taken it one step further and given us an electric 4×4. It may be a plug-in hybrid rather than a pure electric vehicle, but despite having a petrol engine, the Outlander has a very attractive benefit-in-kind company car tax rate, as well as a competitive purchase price (helped by the government’s plug-in car grant), resulting in significant sales of the vehicle, especially to businesses. 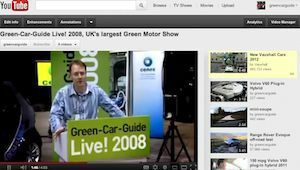 Read the Green Car Guide Mitsubishi Outlander PHEV review. Volkswagen has come to market with a different approach again, this time with the aim of combining a Golf GTI with an electric car – the result being the Golf GTE. Like the Outlander, the GTE is a plug-in petrol-electric hybrid. 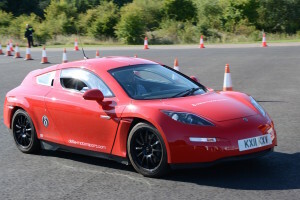 It also has an attractive benefit-in-kind rate for company car drivers, as well as being genuinely fun to drive – without the range limitations of a pure EV. Read the Green Car Guide Volkswagen Golf GTE review. 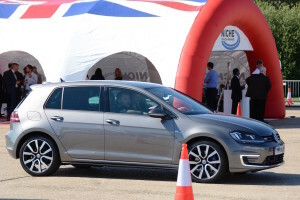 Green Car Guide Editor Paul Clarke teamed up with comedian Miles Jupp to present the BusinessGreen Car of the Year Award 2015, with the winner being… the Volkswagen Golf GTE. 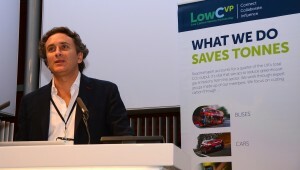 LCV showed that electric and even hydrogen cars are coming to market, but there is still a pressing need to further improve the efficiency of mainstream petrol and diesel models. By 2021 manufacturers need to hit 95g/km CO2 emissions as an average across their ranges (each group receives a bespoke target meaning some have slightly higher targets and some slightly lower) and with only six years remaining, petrol and diesel cars will still make up a large chunk of the market. For anything bigger than a supermini this is a seriously challenging target. Part of the answer is pure electric and plug-in hybrid cars which every manufacturer will need to have as part of its offer. However forecasts suggest that sales are unlikely to be much above 5% by 2020, so hybrids such as the Toyota Prius will also be important. That will still leave a chunk of the market that needs low cost options that will appeal to mainstream buyers who may be put off by tech-heavy alternatives. 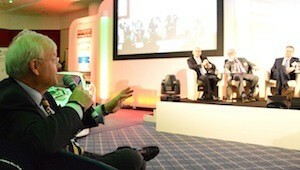 One clear line of development is 48v mild hybrid systems, which were being demonstrated at LCV. It is believed that the majority of car manufacturers are actively considering these systems as they offer the potential to achieve the required CO2 improvements for mainstream models without major cost and packaging issues. What is a 48v mild hybrid? A 48 volt electrical system requires a new battery but by switching to lithium ion it is the same volume as a conventional 12v. The higher voltage allows narrower cables which save weight and space. The increasing loads from infotainment systems and electrical accessories are easily dealt with. The starter motor is replaced by a belt-driven integrated starter generator (B-ISG) which provides a super-fast and smooth engine start, but also allows braking energy to be recuperated. In a 12v system the ISG can only generate around 3 kW; with 48v it can produce around 10 kW. 10 kW is sufficient to provide torque assist at low loads or engine speeds such as when pulling away, or in steady-state cruising. In addition the system can chip in on short hills to reduce the load on the petrol/diesel engine. What are the benefits of a 48v mild hybrid? 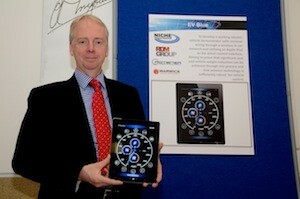 The system can be integrated into existing models allowing fast deployment. The ISG is providing assistance when the petrol/diesel engine is at its least efficient. It is relatively cheap and weight gain is minimal. Thanks to the torque assist function, higher gearing can be used without impacting on low rev driveability. The system works with any gearbox; including manuals. More energy can be harvested more quickly than with a 12v system. The system eliminates low rev turbo lag as it provides an electrical boost up to the speed when the mechanical turbo (if present) becomes effective. With several manufacturers publicly stating that they intend to bring 48v mild hybrid systems to market, they’re likely to become commonplace in the next five years. Reducing vehicle weight is a trend that we’re already seeing, with new models now regularly achieving meaningful weight reductions after years of continual gains. With much of the low hanging fruit now gone, there is accelerating research into how to make composite materials quickly and cheaply. 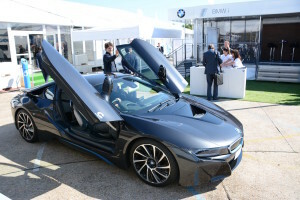 Materials such as Glass Fibre Reinforced Plastic (GFRP) are already being used at a large scale by BMW in the i3 and i8, new applications for plastic components are being brought forward, whilst Jaguar Land Rover is actively developing new carbon fibre production methods that allow high pressure moulding rather than baking in an autoclave without any reduction in the mechanical properties. This makes it more feasible to integrate carbon fibre parts into fast moving production lines and reduces the cost of the components. As well as advanced materials, there is increasing emphasis on smart design. Seats are a good example where weight hasn’t been high on the agenda, leading to unnecessary mass. A Jaguar Land Rover project has led to a prototype seat which is 30% lighter and is also thinner, improving rear leg room, without any reduction comfort. By reducing the parts count and using the most appropriate materials for each area, significant weight loss can be achieved across the car. Lighter weight means that smaller engines can be used, such as JLR’s new Ingenium diesel engines, allowing the XE to be the first production Jaguar to emit less than 100 g/km CO2. As well as electric cars bringing disruptive technology to the automotive industry, we also now have driverless vehicles. 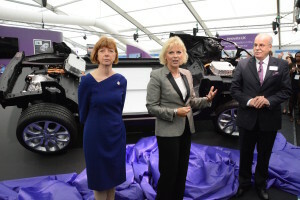 The Transport Systems Catapult-led LUTZ Pathfinder project is another approach to help ensure the UK is seen as a leader in the latest automotive developments. 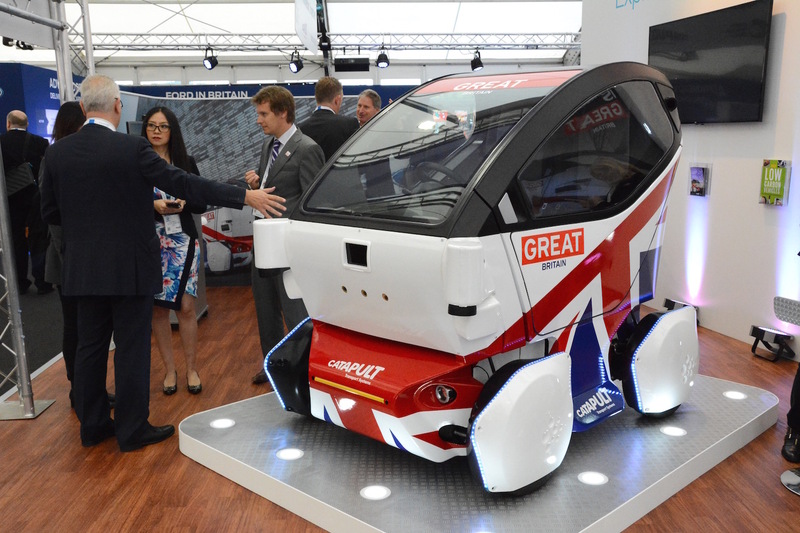 The LUTZ Pathfinder is an electric autonomous vehicle which will be operating in Milton Keynes later this year. The self-driving pods project will be the first UK trial of automated vehicle technology in public pedestrianised spaces, using designated stretches agreed with partners at Milton Keynes Council. 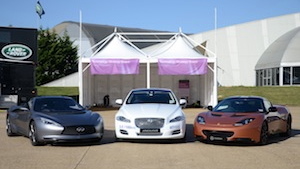 Findings from the project will also be fed into the larger-scale UK Autodrive programme which is set to deploy a larger fleet of 40 pods along with ‘regular’ road-based cars as part of a ground-breaking two-city trial in Milton Keynes and Coventry. 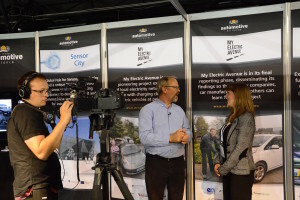 A LowCVP exhibition at LCV2015 showcased the economic and technical prospects for smaller L-Category vehicles in the UK and the potential for their growth to 2020. 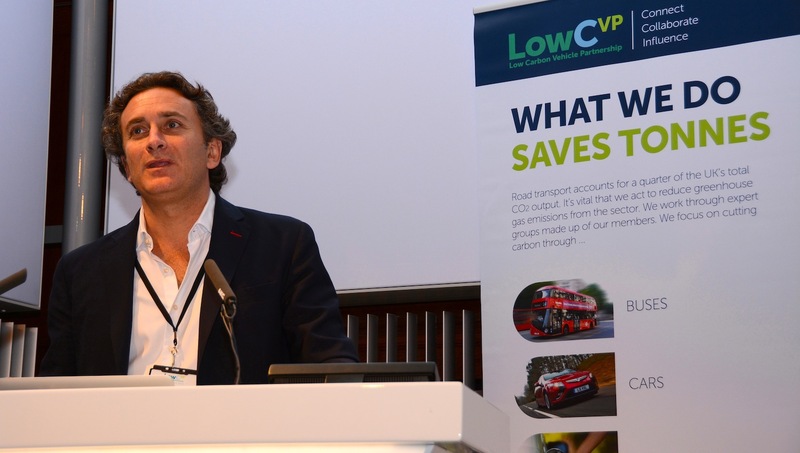 The exhibition was one element of the LowCVP’s ‘Bigger Thinking on Greener Vehicles’ theme, as the Partnership introduced its work plans for 2015-16. The LowCVP’s L-Category exhibit featured futuristic designs of two, three and smaller four-wheel vehicles produced by students of industrial design at Coventry University, one of the project partners. 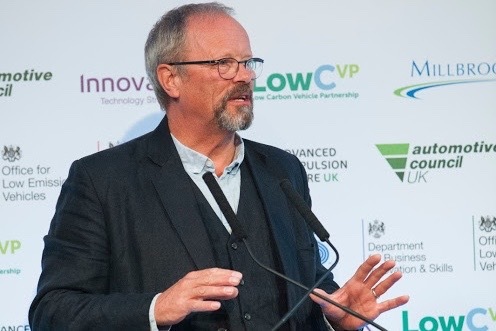 Over the next year the Low Carbon Vehicle Partnership will work with stakeholders – in particular its 200 member organisations – to drive progress in road transport emissions reductions, creating opportunities for UK businesses. 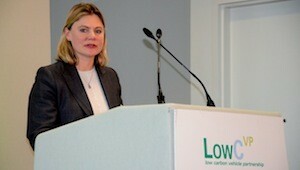 The Low Carbon Vehicle Partnership (LowCVP) Low Carbon Champions Awards took place on the middle evening of the LCV event. 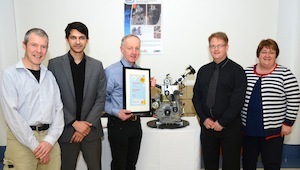 Optare received the ‘Grand Prix’ award for Outstanding Achievement in Low Carbon Transport (winner of winners) in a celebration hosted by TV personality Robert Llewellyn. 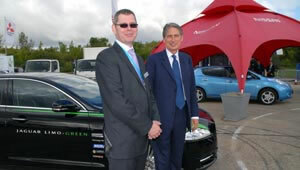 Mitsubishi took the award in the prestigious Low Carbon Car/Van Manufacturer of the Year category. 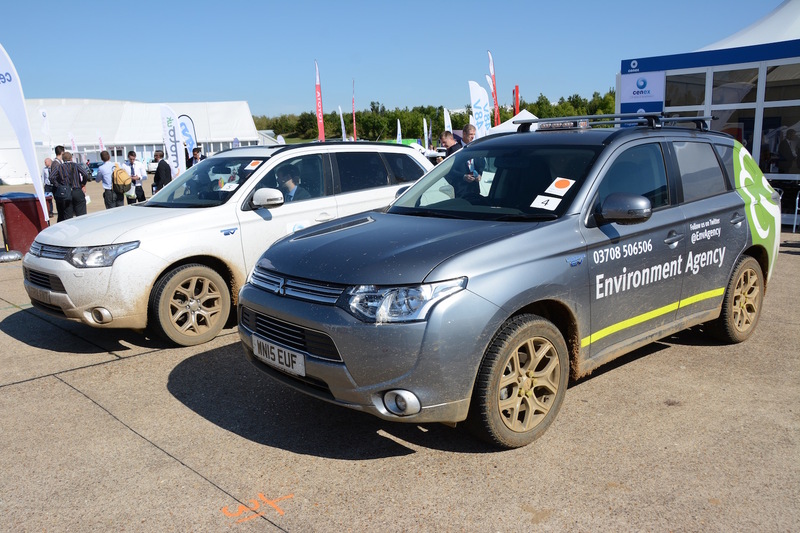 The judges said that Mitsubishi’s Outlander – which helped the company scoop the car manufacturer award – has been a game changer, bringing plug-in hybrid technology to a 4×4 SUV, at a competitive price. 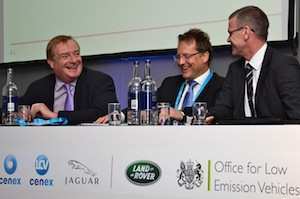 The model has achieved impressive sales, especially in the company car market, where carbon-based taxation has helped to boost sales of lower carbon vehicles. 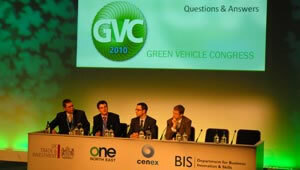 Optare and Scania were joint winners of the Low Carbon Heavy Duty Vehicle Manufacturer of the Year Award. The judges decided to award both companies as their entries covered activities in different market sectors (Optare for buses and Scania for trucks and delivery vehicles). Optare was the recipient of the Grand Prix Award. The judges said that this recognition was because Optare is the UK market leader in electric buses and has taken significant commercial risk in achieving this position. Optare’s buses have made an important contribution to improving air quality in UK towns and cities as well as reducing the well-to-wheel carbon footprint by over 50% in comparison with equivalent diesels.